Summary The PV system of Mr. Rieger is a good example for the combined employment of renewable energies. The plant is installed at the roof of the wood chip depot. 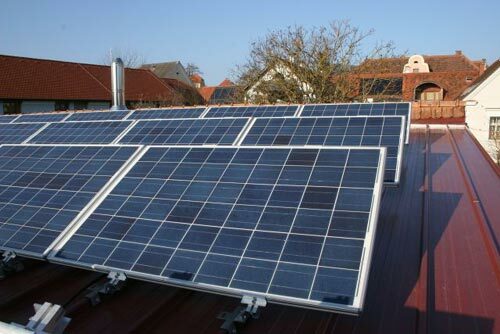 The PV-modules were mounted on the flat roof with walkable panels. The 47.8 m² of PV-modules were installed in an angel of 30° and there alignment were directly to the south-direction.